Free Community Intro Sessions @ the Healing Arts Studio 8/30! See Link for more info http://dragonspiritarts.com/schedule/healing-arts-studio! 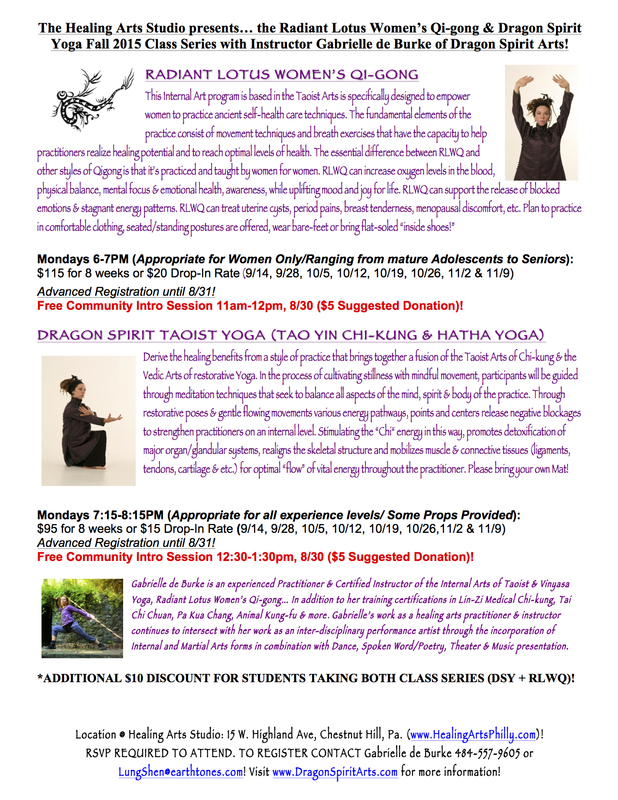 ← Intro to Women’s Qi -gong 7/29 in Philly @ Space 2033!